Knowing what to say which will get applause from the peers immediately surrounding me... that's the difference between a politician and a good doctor. There are more politicians than doctors on Facebook and Twitter. As a young man I wanted to worship the truth. "Truth is light, faith is gravity". I cannot function denying either. Between any dialectic of the two, truth usually wins, and I can usually trust my sight better than my balance. But not always, information can mislead, like a beam of light that blinds you from a wrong angle. Off to battle. I chose environmentalism because it's the thing we are screwing up which is most likely to be blamed by generations unborn, and I have always been fascinated by philosophers and scholars and holy men speaking to me from a distant past. Extinction may not turn out to be "forever", there may be a tiger and dinosaur heaven, I don't know everything. But with the information in front of me I want to make a difference that someone someday would care about without ever knowing who I was. That's part of what's fascinating when I hear, second hand, what some people in the industry think motivates me. People are pretty sure by now that it's not greed. So perhaps ol' Ingenthron's out for glory, the ego-driven explanation explains blogs and pontificatoins nicely. While I confess I am proud of the recycling work I've done, I know that it will one day be like a ten year gig by a famous boxer (Jack Johnson), a famous orator (Martin Luther King, Jr), a famous performer (W.C. Fields), or famous engineer (H. Rembert). Oh, you don't know Rembert? The cotton baler (pictured above) is pretty much the same thing that drives the pre-shredding recycling industry. Paper gets baled, ABS plastic gets baled, wire gets baled, steel gets baled... the baling area's one of the busiest places at our plant. I correctly predicted (approximately) the employment of the Recycling Industry in Massachusetts in 1992 by counting the horizontal balers and estimated number of cars in recycling parking lots. You could have predicted the number of slaves in the South with a good handle on the number of Eli Whitney's cotton gin sales. When you are really focused on truth, and willing to say unpopular things, that's a secret of learning. It makes you smarter when you weed out the platitudes aimed at applause, the tweets to the converted are a waste of electrons. "Be Quiet! I order you to be quiet!" - Arthur, King of the Britons, (Monty Python and the Holy Grail). As I wrap up the "Bullyboys" case for exoneration of African traders, we are left with a simple question of authority. Jim Puckett told me directly, a few years ago, to "stop referring people to Annex IX of the Basel Convention." (the section that makes export for recycling, and repair, legal - so long as it isn't dumping). It was in the form of an order. Basel Convention was his "turf". He drew a line and told me not to cross. "The Magna Carta Action Group." "The Declaration of Independence Action Network." "The Bill of Rights Action Center." There are lots of authoritative names a small, underemployed environmentalist can bestow himself. Most Americans wouldn't fall for the "Associations" above. But if you select the name of a Swiss Treaty, and say "international law" enough times, you may even get an informed journalist to report your press release as something from an authority. Ill defined legal systems produce bullyboys. King Arthur: I am your king. Woman: Well I didn't vote for you. 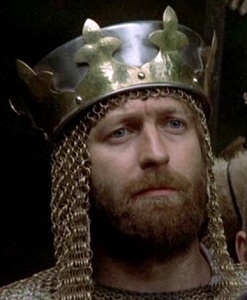 King Arthur: You don't vote for kings. Woman: Well how'd you become king then? [Angelic music plays... ] King Arthur: The Lady of the Lake, her arm clad in the purest shimmering samite held aloft Excalibur from the bosom of the water, signifying by divine providence that I, Arthur, was to carry Excalibur. THAT is why I am your king. Dennis: [interrupting] Listen, strange women lyin' in ponds distributin' swords is no basis for a system of government. Supreme executive power derives from a mandate from the masses, not from some farcical aquatic ceremony. The difference between an authority and a bullyboy? Law. Courts. Constitutions. Consensus. And the problem in this whole case is that there is little in the way of an international court system. Lacking international law, and fed fake numbers by BAN.org, Europeans have reverted into bully justice. Granted, true international law is more orderly. I've been to the the Hague, I've been to Strasbourg. But these are very busy places to get into. If you are arrested in Britain for a crime you are not even accused of committing where it didn't occur in Nigeria, and think you can find a place on the International Court Docket, go buy a Megabucks lottery ticket, right now. Laws only "happen" inside borders. The police or Stewards or regulators who enforce international "law" are enforcing something that is extra-juridicial. That's why treaties have to be "ratified", to give them status of law inside the borders of a nation with laws and courts and police. Inside a border, giving "international" law to a policeman, there is otherwise no constitutional basis for appeal. Your sole appeal is to the bully-boy. Just saw a very interesting interview by my man Fareed Zakaria on GPS (CNN) of Christopher M. Schroeder, author of Startup Rising. (Review here by Kira Newman of "Tech Cocktail"). We have seen the exponential growth in interaction and information sharing, described by Schroeder, before. Media devices are to the Age of Entrepreneurship, or Startup Rising, what paper and printing presses were to the Age of Enlightenment. English Short Title Catalogue 1470-1790. The Geeks of Color who I dedicate this blog to are not just being underappreciated, under-noticed, and underutilized (as the CNN coverage suggests). They are being profiled by faux environmentalists, targeted by Anti-Gray-Market corporations, and actually arrested (Joseph Benson) or their goods seized (Hamdy Mousa), see Environmental Malpractice blogs. The kind of "witches brew" enforcement by Interpol's "Project Eden" is overseen ghoulishly at USA EPA by none other than the Environmental Justice department. It is an Orwellian Scale of dysfunction. Black is white, up is down, recycling is waste, reuse is dumping, progress is degradation, freedom is exploitation. Here is a roadmap for recycling used electronics in Africa, in 5 Simple Steps. 1. Correctly report the problems. African cities have had TVs and electronics for several decades and generate their own "e-waste". Most of the "ewaste" filmed (BAN, Greenpeace) at dumps was not recently reported, but "takeback" from reuse markets which import newer product. We want to further reform the trade, not to nuke it. 2. De-Criminalize Purchase for repair and reuse in the EU. The reuse people are not "going back to Eden" if you boycott them. They are tinkerers who create good jobs and affordable product in African marketplaces. We want to improve their jobs, not to nuke them. 3. Use value of exports to incentivize domestic African takeback infrastructure. 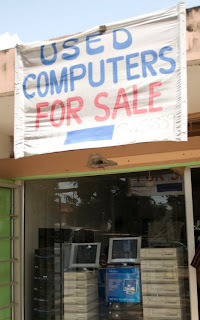 Many Africans who purchase imported reuse goods also do repair for domestic electronics. The abandoned repairs are a form a product takeback infrastructure. In fact, it's EXACTLY the same as the evolution of electronics repair and sale in Massachusetts in the 1970s. TV repair shops learned they could make more money if they offered a choice of Retail Replacement as well as Repair, letting the consumer make a choice. When the consumer chooses not to repair (or worse, asks for the unit to be repaired but then changes their mind and doesn't return for it), the TV repairperson becomes a takeback operation. When Masschusetts DEP enacted the first "ewaste" law in America (CRT Waste Ban), it was a TV repair family which created the largest TV recycling operation in the USA. Africa is on the same path. 4. Recycling, Reconciliation and mass balance. Hand-labor recycling is actually cleaner and produces better results than mechanical shredding. Just don't burn the items you disassemble, and recycling is still profitable. The caveat is CRT glass and mercury backlighting. Left purely to the free market, Africa will have little incentive to properly recycle CRT glass (the most expensive component). The value of reuse exports should be adjusted, reducing sale price to Europe or the USA according to the actual recycling and takeback, and should be monitored, or they will accumulate the same CRT glass piles the USA has accumulated. 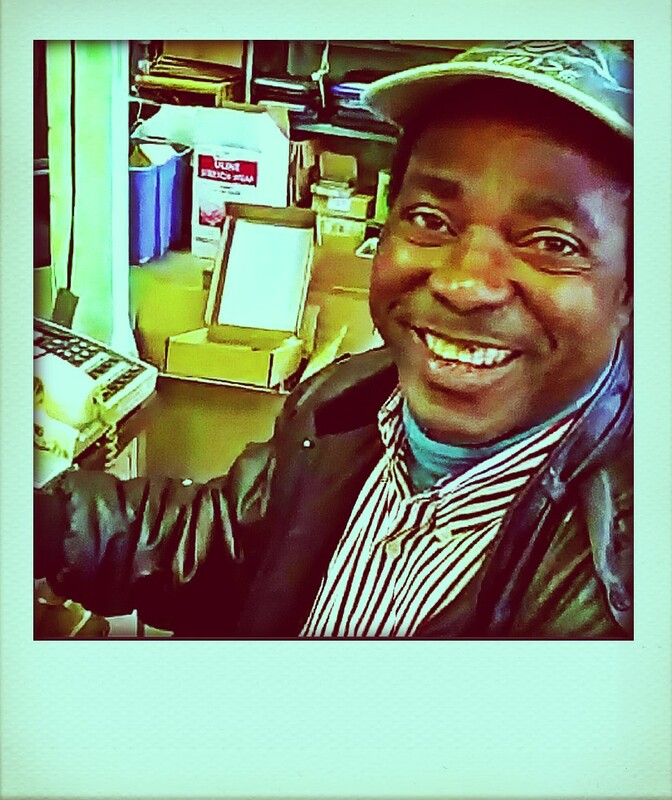 This system preserves Tinkerer Blessing jobs (compared to StEP's OEM-funded solution). It will also work in India and other emerging markets. But there's one immediate step we need to take first. 5. Where scrap recycling, repair, and refurbishment already exist, nurture it. Major CRT glass recycling operations have been shut down by friendly fire. In Indonesia, Malaysia, and Southern China, semiknockdown (refurbishing) factories, glass washing operations, and warranty-repair-turned-takeback operations have been closed. It is not too late to save repair in Africa. As Recycling Director for the Massachusetts DEP in the 1990s, I tried always to preserve existing expertise and infrastructure. Massachusetts had not prepared Salvation Army, Goodwill or St. Vincent de Paul for new freon rules in the 1980s, and created a "white goods" glut. I was determined not to do that, and we took care of our scrap paper packers, our TV repairpeople, and our charities. The Massachusetts model of charity partnerships was later adapted by Dell in its Goodwill ReConnect program (I met with Michael Dell and Pat Nathan personally in 2001, suggesting the partnership would take them out of the BAN attack on Dell's Unicor prison recycling program at that time). The same partnership approach can succeed in Africa. Rather than demonize, demoralize, insult and ridicule the scrap boys and repair technicians, the entrepreneurs like Joseph Benson or Hamdy Moussa or Souleymane Sao, we need to defend them. Touche pas a mon pote, E-Stewards. The past month I've spent a lot of time talking about Africa and Africans. I lived there, and like pal Martijn van Engelen (Netherlands) found people in Africa to be - follow me here - happier than Americans and Europeans, on average. Some speculate that "Stuff" and "Belongings" make people unhappy. Many religions teach or preach happiness with sacrifice (which has been depicted, cynically by Marxists, as "opium of the people"). But capitalists marketing that "stuff" will make you happy have even less credibility, in my humble opinion. Happiness is not related very directly to possessions. As I describe in my Facebook status yesterday (bottom), I think that defining your happiness according to what someone else has that you are taught (through marketing and advertising) to covet is a major mistake. Happiness is a skill. When babies laugh and giggle, their brains are wired to smile for the rest of their lives. Africa's secret to happiness, perhaps, is people. Commonly it's a culture of smiles. People in harsh situations tend to be polite, and friendly, and to help out. In Cameroon, no matter HOW poor a family was, they fed me (even if I wasn't hungry, they insisted). I don't think that it is the "stuff" that makes people unhappy. I think it starts out with how we are raised, with a sense of humor. And I'm not saying every African has the same sense of humor, or smiles the same. But the preponderance of unhappy, unsmiling, pouty faces from Africa in BAN's Pieter Hugo poster child campaign is unnatural. "They shouldn't have to make that choice." This was the NGO leader's answer to CBS Reporter (now anchor) Scott Pelley in 2008, when Pelley asked whether the scrap pickers in Guiyu had another job to go to. Perhaps they did have another choice. Picking cabbage. Agriculture is an honorable job. A dangerous job, a job with insecticides, moving blades, and risk of death. But many of the Africans in TV repair could, if they wanted, have stayed in the rural sahel, Savannah or forests. Just don't kid yourself, it's not "back to Eden." MRO - Maintenance, Repair, and Overhaul - if taken off the table - leaves worse choices. This is the eighth blog about the decision to scrimmage environmental enforcement agents to arrest "e-waste #wastecrime criminals". I've focused on Joe Benson, because his was the case Jim Puckett put on display at a conference last November, showing off news coverage by UK Independent reporter Cahil Milmo. He never ever learned to read and write so well, but he could [fix a TV] just like ringing a bell. "Collateral Damage?" Did Jim actually say those words? I swear he did. He said he felt bad for any individual caught violating international law, as a person. But the law must be enforced. If we can arrest a TV repairman, who can't we arrest for #wastecrime? Metal sorters? Cabbage fertilizers? Fair Trade Cotton farmers? Cabbage dealers? 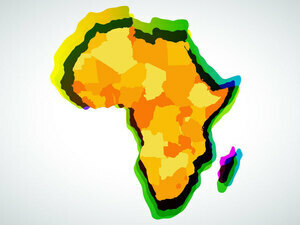 For most of the people in the developing and emerging markets, the bottom line is that Europe is a lot like Africa. Badges and handcuffs and financial fines are the tools of bullyboys. No habeus corpus, no Basel law broken, just a presumption of "primitive", based on what? Ask Harper Lee, who wrote To Kill A Mockingbird while Chuck Berry was in prison, convicted under the Mann Act, a border-crossing crime, like Joe Jackson (the boxer). It has been a few years, Benson seems ripe for a cross-border crime. 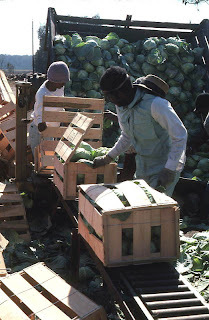 If you do an image search for "cabbage worker" on Bing or Google, you can find a lot of very interesting, very different photos, spanning a great deal of time. Cabbage is eaten in almost every part of the world. Well, it's interesting to me. Let me explain why it's related to "E-Waste" exports in general, and Joseph Benson in particular. 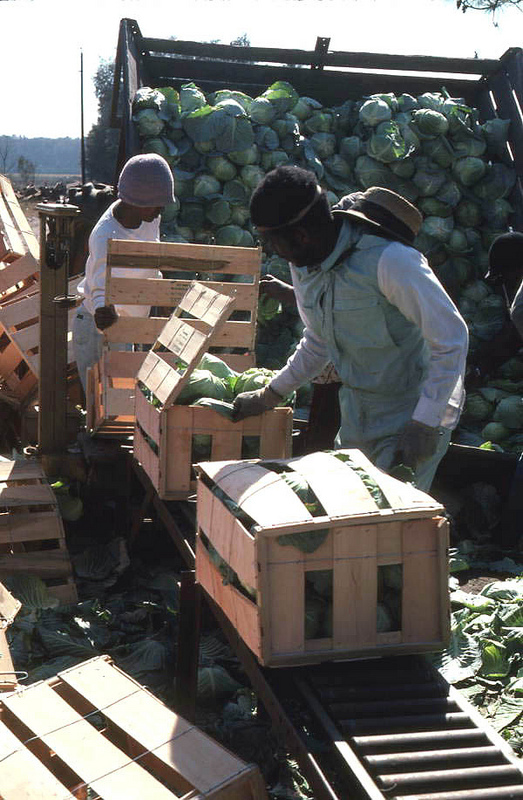 You can search "African cabbage farm", or "Guatemala Cabbage", or "Chinese cabbage harvest", or "Russian cabbage". Want to guess where the cabbage photo to the left was taken? Florida. There are some Australian aborigines cabbage worker photos from a century ago, and there is an ocean of cabbage photos on alibaba.com. Dried cabbage, chopped cabbage. There are workers clinging to the sides of a moving cabbage truck in Guatemala. There are workers dressed in white smocks and moon suits in the Czech Republic. I was searching "cabbage" on alibaba, and searching images for cabbage, because I wanted to find something as boring and non-controversial as... television repairman. Africans, Chinese, and Latino workers who head to the Bright Lights, Big City places like Lima, Cairo, and Joseph Benson's Lagos, are usually making a choice not to do something. They don't necessarily know what jobs they'll find in Accra, Kinshasa, or Dakar. But they don't expect to grow cabbage, or tubers, or sugarcane, or cotton. "Ag Flight". It's basically exactly the same reason the USA cabbage farms import migrant labor from other countries. I've got rural, subsistence farming roots. Three out of four of my grandparents lived on subsistence Ozark farms, and remained in farming until the 1960s (fourth grew up in journalism, and as a child of someone in the Indian Service). Agriculture's an honorable profession. I was told the easiest thing to grow, if I chose to be a farmer, was probably cabbage. Cabbage is pretty virulent, cabbage crops can survive temperature disruptions. You won't make a lot of money on cabbage, but barring an Oklahoma dustbowl storm, you are unlikely to utterly fail. As I looked down at my grandpa Fisher's cabbage row, I thought it was the dullest, most boring thing in the universe. Had Joseph Benson been a cabbage farmer, he would not have been the center of a sting by Greenpeace, Basel Action Network, Cahal Milmo (Independent), or BBC Panorama. Unfortunately for Benson, he invested in a different job abandoned by white people - one exoticized to titillate environmentalists. Fair Trade Recycling. Our vision is not the same, perhaps, as Basel Action Network, or the "Back to Eden" program of Interpol. Arresting dozens of Africans and seizing thousands of "good enough" televisions and monitors, purchased for repair and resale, will not get us where we are going. Where are we going? According to the Economist, to the end of poverty. The world population is making the same progress as the United States made, in standard of living, for the past 100 years. Nearly 1 billion people have left poverty in 20 years. 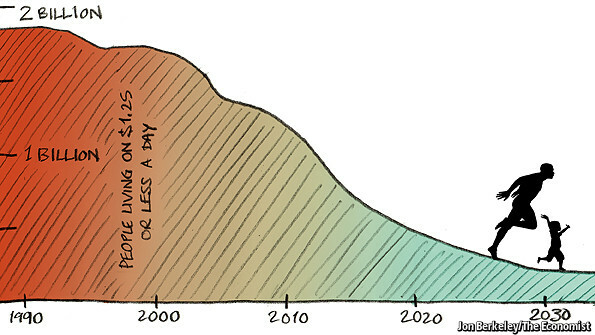 In "Towards the End of Poverty", the Economist shows how at this rate, another billion will leave poverty in a decade. This is our vision. Africans with television, barios with high speed internet, rice fields with smart phones. Yes, that means they will "generate e-waste", just as we did/do. But "Back to Eden" isn't on our Map. Taking a break to edit the lined up "Bullyboy blogs". The character assassination of Africans who provide the ONLY affordable supply to the demand for television and internet in rapidly urbanizing nations is bad enough. Spending tax money and diverting limited Interpol resources from Transfigura dumping and ivory and big cat poaching is despicable. But I need a cool-down, to focus and edit the blog. In the meantime, I thought I'd coined a new word, but found it exists in the dictionary. The providing of a solution or solutions to a customer or client. I was responding to an "Upworthy" post on Global Warming "debate", which is sharing a ConsensusProject graph. The graph seems to say that a majority of people are not as smart as informed scientists are, which is no doubt true (almost to the point of being tautological. If everyone knows what a scientific researcher knows, it kind of doesn't speak well of the pursuit). You might know people who fall in the black part of the first graph. Maybe you could show this to them? You know what, I do. I know conservatives. I myself believe it's obvious the world is warming, slightly less obvious what the primary reason is, but obvious that carbon emission doesn't help. So far, I'm ok with my liberal friends here. But I also notice this (as I commented on the Upworthy Facebook post). Robin Ingenthron I think response to public surveys reveal dissonance between "is warming real" and "I buy into carbon trading schemes and social engineering designed to fix it". Given the choice between "yes or no" surveyees tend to look past the yes-no dichotomy and anticipate the way the results will be used. 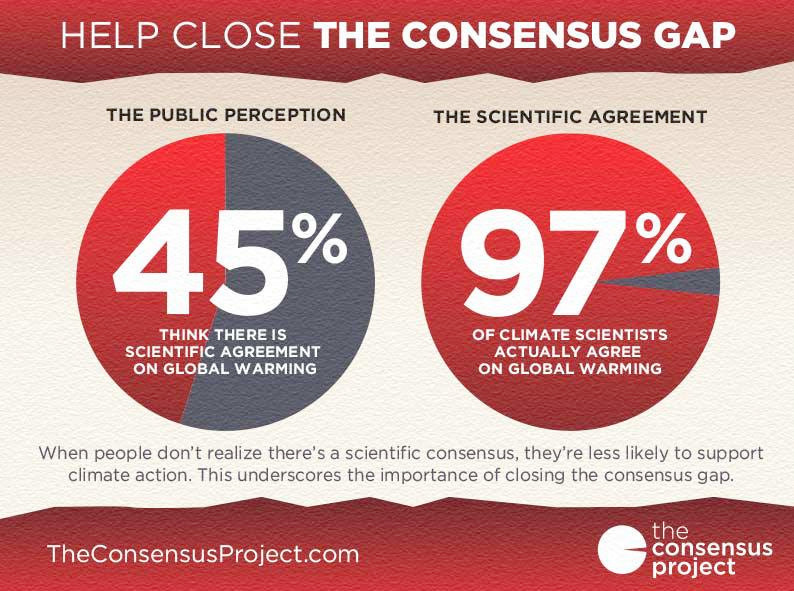 I'm sure there are a heck of a lot of deniers out there, but am also sure that the 55% would include people who are skeptics of the "Solutionists". I've seen it over and over, and I observe it in myself. When I'm being polled, the first question I ask back is "who is paying for this poll?". There are some genuine polls out there. But it seems like most of the polling I'm subjected to has a funder with a confirmation bias. A political candidate, a party, or some other agenda. Solutionism, like most other 'isms', is something a lot of us want to "step away slowly" from. Bullyboy 5: Urban Waste is a "Story of People"
This is not the "Story of Stuff", it's a "Story of People". 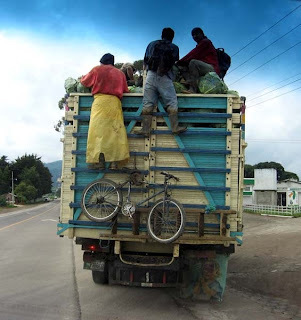 Fair Trade Recycling is an effort to see other humans for what they can do, not for what they cannot do, and to make the exchange of goods and services, driven largely by urbanization, as constructive as possible. Call it Alter-Globalization if you will, call it "reform". It's not about exploitation and victimization or waste externalization when the African cities and Chinese cities are paying for the goods and transport... it's economics of urban geography. China has been buying scrap. 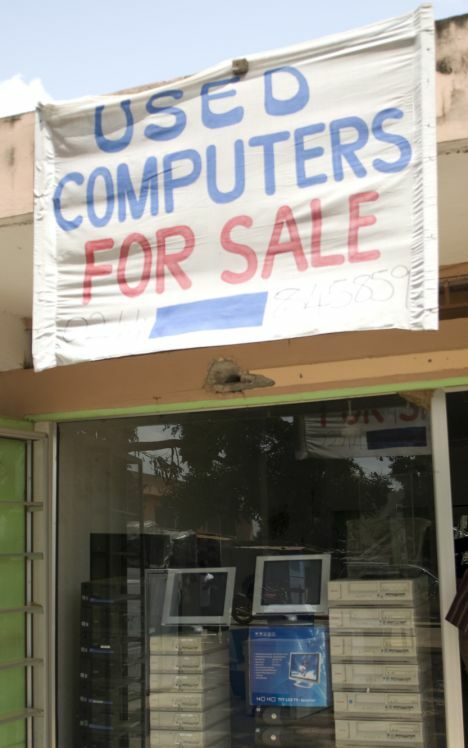 Egypt has been buying used computers. Nigeria has been buying used TVs. All three are "non-OECD", but they buy different things. Look at urbanization, and you will see that industrialization correlates with smelters, internet cable correlates to computers, and electricity correlates with TVs. China, Egypt, and Nigeria have cities, and cities are full of people.